Transvestite yearns to become a transsexual and dreams up elaborate musical numbers in which she’s the star. Lesbian single mother Roberta (Moro Andrea) lives with her young son in Santiago and spends is romantically involved with Javiera (Francisca Bernardi). Roberta is determined that her mother should meet Javiera so she arranges a boat trip for the three women to spend some time together, but through a number of heated confrontations she learns a lot about where she has come from and where she is perhaps destined to go. Argentinean drama exploring the developing tension between a 16-year-old boy and the swimming instructor he has a crush on. Julio Medem writes and directs this sensual drama about two lesbian women who meet in Rome and decide to spend the night together in a hotel room. Touching and sensitive story of a young gay man coming to terms with his own sexuality. David (Vladimir Cruz) is an uptight macho communist student who meets Diego (Jorge Perugorría), an extravagant gay artist with an irreverent attitude to Castro. Appalled by Diego’s attitude, David decides that it is his duty to convert him, and a friendship is born. Comedy about a chef who is running a busy restaurant, being reunited with his estranged children , having a blossoming gay romance and now the Michelin Guide food critic is coming to review his restaurant. Semi-autobiographical melodrama follows the intertwining stories of two boys who fall in love at an abusive Catholic school. The film follows the lives of two boys growing up through the 70s and 80s, in pre and post-Franco Spain. Retired boxer Octavio (Roberto Farías) is fighting a losing battle against time as his health has begun to deteriorate. When he meets Hugo (Héctor Morales), a young troubled man, they strike up a rapport that quickly turns into something neither of them expected. Set in Buenos Aires, this witty romantic comedy, confronts our expectations by testing the boundaries of gender and social demarcations. In so doing, the film invites us to explore contemporary ideas of freedom and desire, and to question what it means to play with love. 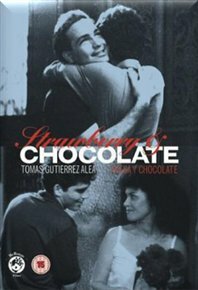 Set in 1990s Madrid, committed gay couple Garate and Omar want to have a child and approach their various female acquaintances to find the right surrogate mother for their potential offspring. All-female romantic comedy about a struggling gay film-maker Anna who is suffering a midlife crisis. However on meeting feminist Katia, she tries to impress her by staging a remake of Edward Albee’s play ‘Who’s Afraid of Virginia Woolf?’and casting Katia and her other friends in the play.